Perfect for precision cutting of medium- to heavy-weight materials including paper, board, plastic, leather, wood, rubber, foam and more. The aluminum barrel features two textured grip areas to prevent slipping. Comes with one A-2 carbon steel blade and a hard plastic safety cap. 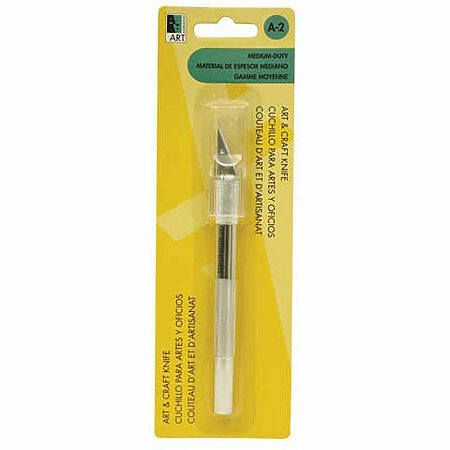 Replacement A-2 blades are available in re-usable plastic cases of five each (AA17982).